Blogging Monthly posts for your internal blog, aimed at optimizing for the location and seasonal industry impacts (like frozen pipes in the winter). Directory Listings We ensure that your business listings and directory information are optimized and that your NAP (name, address, and phone number) data are uniform across platforms. Social Media We take over posting to your social media pages, like Facebook and LinkedIn, to help share information about your company and allow your clients to interact with your company on another platform. Web Content We write optimized content that is unique, relevant, and user-friendly for all of the different pages for your plumbing businesses website. Most potential plumbing customers inquire about plumbing services through search engines before making a decision on which business to select. Optimizing your website and your content for mobile devices will help you capture the percentage of users who do their searching on their cell phone. Mobile optimization is especially important because mobile users who attempt to visit a site online are more likely to visit a rival plumbing businesses website than wait longer than two seconds for your site to load. Another way to get closer to the top of SERPs is to include high-quality visual content like photos and videos. If you’re looking for a business that can take over all aspects of your online content, contact the Plumbing Webmasters at (877) 388-9884 to increase your Google ranking today! How To Manage Plumbing Content? When you hire the Plumbing Webmasters, we determine how to manage your online presence and content based on the plan that you decide to use. We also offer add-on services to manage your virtual office space, the Righteous Reviews widget, and all of your PPC Adword campaigns. We use several different tools and guidelines to ensure that our content management is effective and useful for your business. Google Guidelines We follow Google’s quality guidelines to ensure your content gets you a higher Google ranking than the competition. Link Building While other companies might suggest link-stuffing schemes that will get your website penalized by the Google Penguin update, we use legitimate link building tactics to lend authority to your website. User Intent We research your industry in your location to ensure your content is something that interests local users and will bring in potential customers. WordPress We utilize WordPress and our own SEO plugin to ensure your content is optimized for users looking for local plumbing service. We also double check for duplicate content to ensure all of your content is unique to your specific page. Google checks for duplicate content when it crawls and indexes your page, so if it finds content scraped from another source, it lowers your search engine ranking. Our team of content marketing experts includes content writers devoted to crafting plumbing content specific to your website that is easy to read, interesting, and valuable to potential customers. If you need content management for your plumbing business, contact the online marketing experts of Plumbing Webmasters at (877) 388-9884. It can be a difficult process for plumbing contractors without much web experience to optimize your online presence. 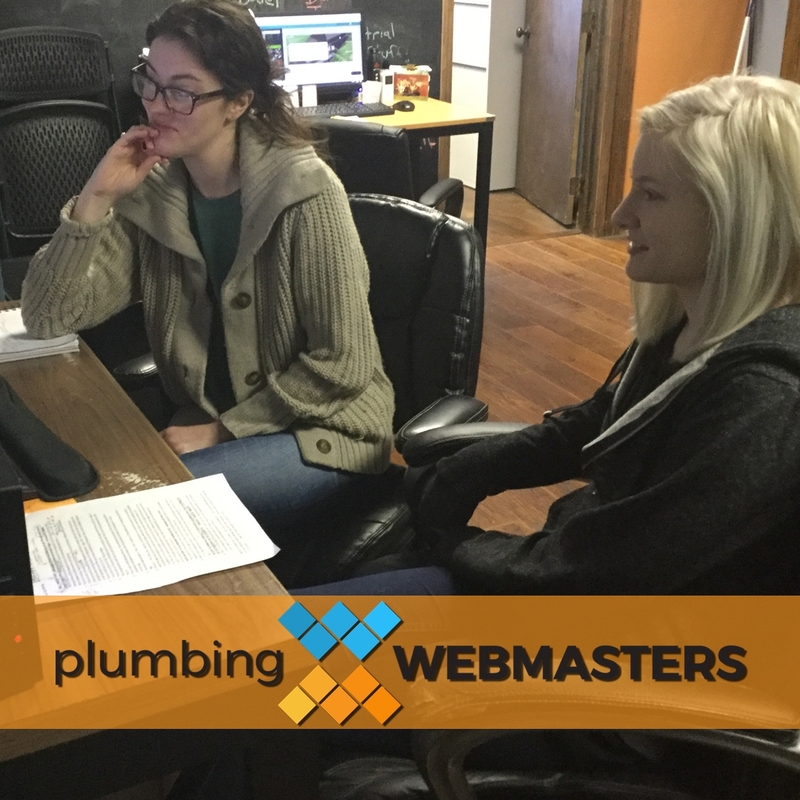 When you choose either the PPL or MTM content management plans with Plumbing Webmasters, you’re enhancing your plumbing companies ability to do business online. Our basic package covers all of the tools that you need to build your online presence, as well as increase your web traffic and potential leads. There are additional services we can perform for your plumbing company as well. We can manage your PPC campaign to maximize the returns you see from your advertisements. Our plans are continuous, meaning we’ll continue optimizing your content after our initial start date. We continue your service the following ways. Service and Content Update If you add a new service to your plumbing business, we’ll add that new service to your page to help get the word out. We also update your internal blog monthly to ensure Google sees your business as active and crawls and indexes your new data. Visual Media Updates We’ll update your visual media just like we update your service and blog content. As you take new pictures or add videos, we can put them into your site. Keyword Refinement Keyword density never stays the same, and keyword values are constantly changing. When new trends emerge, we’ll re-optimize your relevant service pages to meet your new needs. Google is constantly updating and changing their search engine algorithm and content guidelines. That means you need to trust your content management to a team that understands the changing nature of effective online content. When you hire the Plumbing Webmasters for your plumber content management needs, our team of SEO experts will not only build and optimize your web presence, but we’ll continue to manage it as time goes on. We’ll monitor new trends and changes that affect your page and plumbing service, and make whatever changes we need to to make to ensure your plumbing business stays at the top of the SERPs. For more information about your plumber content management needs, contact the Plumbing Webmasters at (877) 388-9884 and start dominating online today! Updated on March 29, 2019 at 4:12 pm by Plumbing Webmasters.